Stylish one bedroom apartment with all the amenities. One block from the bus that will take you to the game. Minutes from NYC and Hoboken trains/buses. Right off of Route 3 (where the stadium is located). Flexible availability for the weeks before and after the game. 50% payment up front, 50% upon arrival. No personal checks please. I am available to meet before the event. Please contact with any questions. Price negotiable. 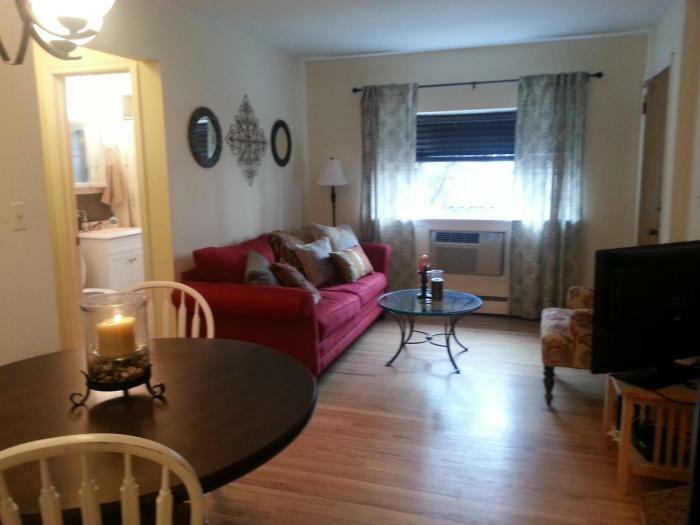 This rental is located in Nutley, New Jersey 7110 and has 5 upcoming nearby events. 2018 US Open Golf and is located 89.5 miles away from Shinnecock Hills Golf Club. 2019 PGA Championship and is located 36.7 miles away from Bethpage Black Course. 2018 US Open Tennis Championships and is located 17.3 miles away from USTA Billie Jean King National Tennis Center.